C hairs aren’t made for young ones, and for children of toddler age and younger, they can be too low in their seat so can’t reach the table, and risk falling off, something no parent wants to happen. A booster seat can be used from when the child is able to sit unaided (usually 6 – 12 months). 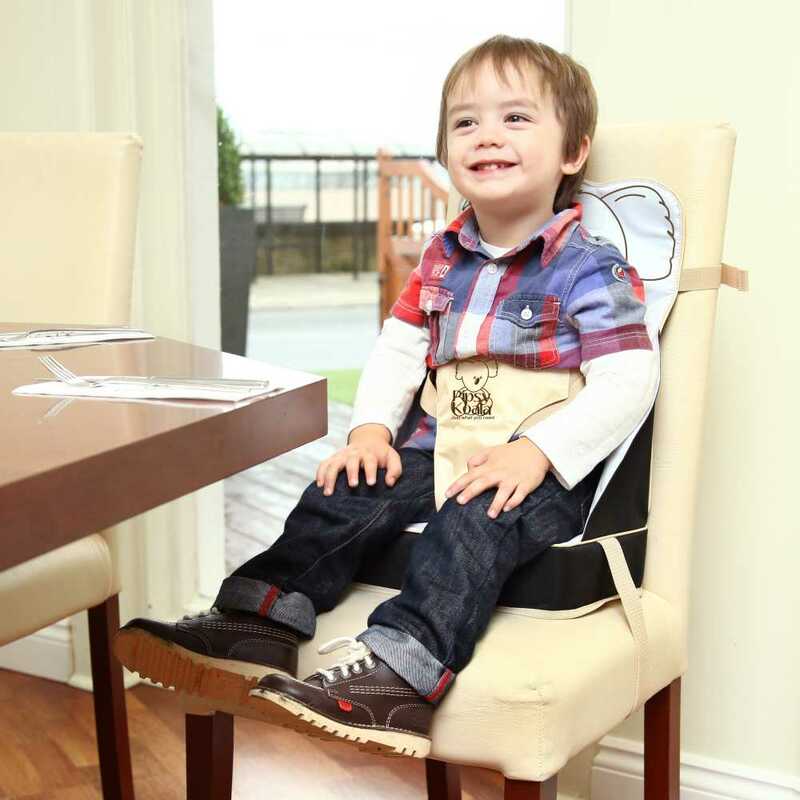 The Booster straps to a normal chair and lifts the child up to the right height so they can eat comfortably, and secures them in place so they can’t fall off! Children can be messy, so it’s important that where they sit is clean and hygenic , and can be cleaned when they spill their food. Best of all, a comfortable child is a happy child. And just like Mum and Dad they should be comfortable at the dinner table, and will feed better as a result. The Pipsy Koala booster seat is light weight and wipe clean, even the straps, so your child can always be comfortable and clean wherever they go. The seat and straps fold into a compact unit you can take anywhere, and use in any reasturant, or away from home. With the amount of stuff needed to look after a young child, a foldable booster seat is perfect for staying with Grandparents. The seat has a 3 point harness securing them between their legs and around their waist and has adjustable straps to grow as they do. The seat itself is attached securely to the chair with adjustable straps to fit even thick chairs and holds them tight so they can’t wiggle free! Let Pipsy help you with the struggles of being a new Mum. Follow our blog for great advice, product reviews and great info to help get you started on your journey to parenthood!